The Report was mailed home to SBS parents, grandparents and alumni this week. What isThe Report, you might ask? 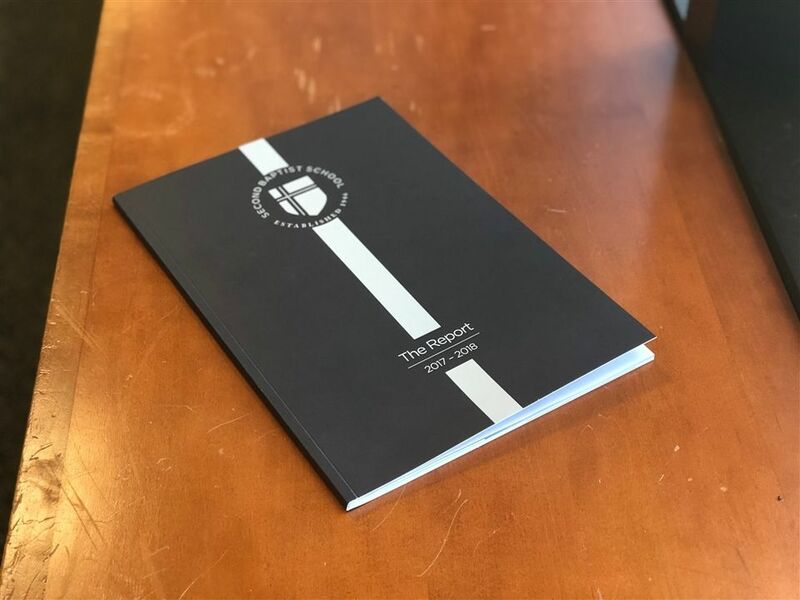 The Report is an annual publication produced by the Office of Advancement each fall to report the school’s fundraising and financial activities from the previous school year. The publication reflects donors who generously and faithfully contributed to the school’s annual fund (Second Fund), teacher endowment fund (EagleFest) and faculty and staff bonuses/salary increases (Distinguished Speaker Luncheon). “I encourage you to take time to read through the 2017-2018 Annual Report to see the incredible achievements of the school made possible by the generosity from supporters of the Big Three - Distinguished Speaker Luncheon, Second Fund and EagleFest,” said Director of Advancement Dyanne Kimmel. Also included in The Report are alumni, grandparent and corporate donors. Perhaps the most important listing in our annual report is the Second Fund Faculty and Staff section, which reflects 100% giving. This level of support demonstrates the commitment of our teachers, administrators and staff to our students and the mission of SBS. We are grateful for the confidence and financial support of each donor in the last fiscal year. We hope you enjoy reading the annual report to gain some insight into how your gifts impact the Second Baptist School experience. Click here to view a digital version of The Report.